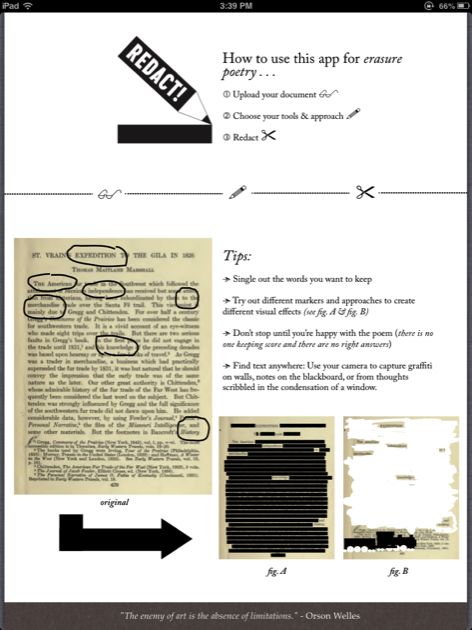 The easiest way to redact and create erasure poetry from any text any where! 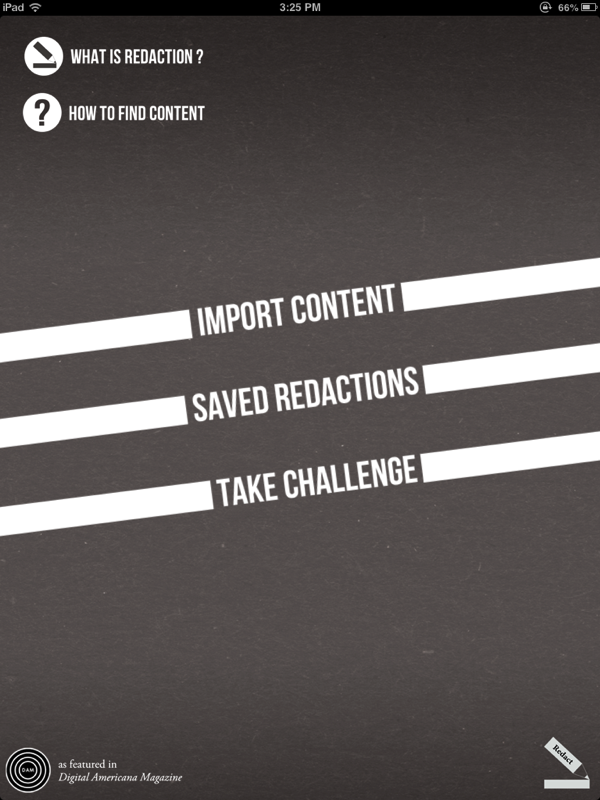 Import PDFs from Pages, Dropbox, or Skydrive — then use our custom Redaction Toolset for easy redacting with just a swipe. 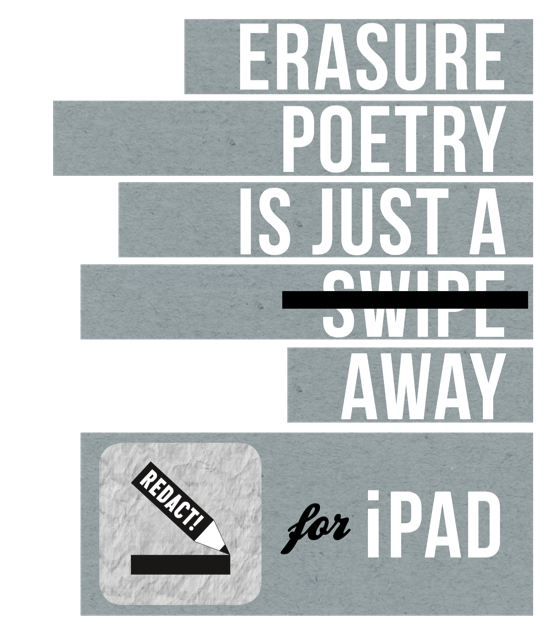 Find Erasure Inspiration Anywhere . . . Freeze found graffiti, notes written in window condensation, or words scribbled in sand with your camera to capture fleeting text & then redact it away. 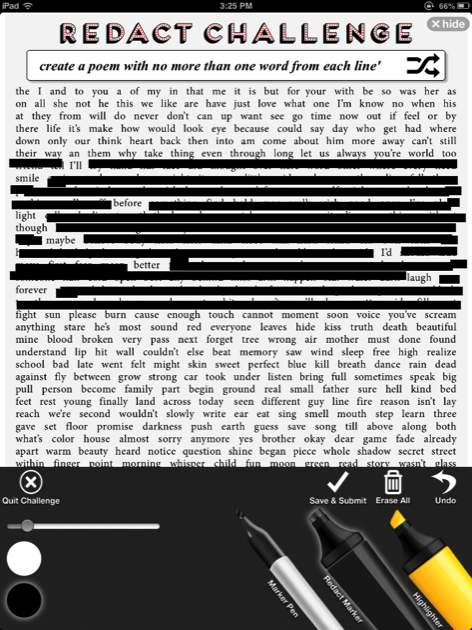 Try the bonus Redact Challenge, a visual poetry game designed to inspire and put your redaction skills to the test with creative writing prompts (based on the most commonly used words in contemporary poetry). 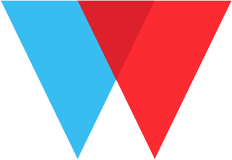 At .99¢ this app is totally worth it (and your support let's us know we should keep on experimenting with creating digital literary tools & experiences).